Glasgow based accountancy firm Armstrong Watson has joined forces with seven other law firm merger experts across the UK to form the Association of Law Firm Merger Advisers (ALFMA). The launch of ALFMA sees Armstrong Watson join up with Aaron & Partners, Ampersand Legal, Haddon Consult, Hazlewoods, Hedley Consulting, Howard Hackney LLP and Wilkinson Read as founder members. The new association has been formed as a direct response to “unprecedented change and challenges faced by the legal profession”. Andrew Roberts, of Ampersand Legal and chairman of ALFMA, said: “We felt there was a real need to establish a kitemark style level of excellence that law firms could rely on when taking on this most important challenge. 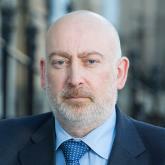 Richard Gibson, Glasgow office lead partner at Armstrong Watson, added: “We have all got considerable expertise in law firm mergers and acquisitions, between us accounting for approximately 150 such transactions.